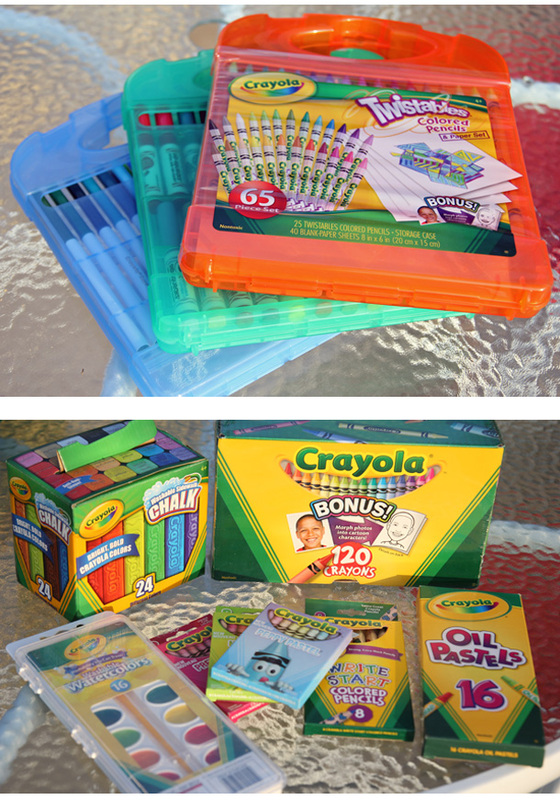 Crayola Back to School Haul + Gift Card Giveaway - It's Gravy, Baby! The Crayola product, information, and additional gift pack featured in this back to school post have been provided by Crayola. One thing I love about homeschooling is that I create our supply lists for back to school shopping. Let me tell you, I love back to school shopping. Fresh notebooks, perfectly sharpened colored pencils, and new markers may be my love language. 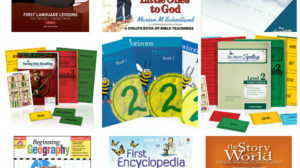 We have enough supplies to stock a typical classroom just for our homeschool, but I cannot resist. Bryson and Bella ask to color and/or draw on a daily basis, so we keep plenty of Crayola products around. I am already a huge fan of the kits because they offer an easy way to store the products along with paper and are perfect for taking all around the house or on the go. 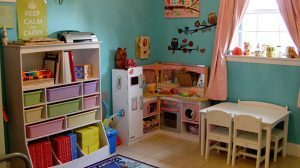 I like to keep our supplies together in the new school/ play room, but the kids often want to join me in our kitchen/ dining room while I work or cook. The kits help Bryson and Bella be more independent because they can pick one out, bring it to the table, open it up, get creative, and then put everything back and put the kit away. One winner will receive a $25 VISA gift card courtesy of Crayola. This contest is open to US mailing addresses only and will end at 11:59PM September 10, 2013. This is a Rafflecopter giveaway. If you are reading this via e-mail or feed, please click over to the post to enter. Thank you! my favorite is the Crayola Crayons, 64 count box. I love Crayola!! We LOVE CRAYOLA!! We love Crayola crayons, all of them! I like the Sidewalk Chalk – thank you. My favorite is definetly the washable crayons. Great for the little artist who doesn’t like to stay in the lines. I like the Ultimate Art Supplies & Easel. Dry erase light up board and dry erase colored pencils. I love the Original 96 count box of Crayola Crayons…they have always been my favorite! Thanks so much for hosting this giveaway! My First Crayola Touch Lights. all time favorite crayola product that is a must for every child is Crayola Crayons 64 ct.
My favorite is the 64 count box of Crayons, thanks! I love the washable markers. The color wonder brush tip markers are one of my favorites! I love Crayola Crayons 96 ct. – all those colors are inspiring! My favorite Crayola product is their Crayola Colored Pencils. I especially like the metallic ones. I like the dry erase board and eraseable markers. These come in real handy. Broad Line Markers, Classic Colors 10 ct. The Silly Putty Holiday Pack 2 ct would be a good stocking stuffer for the holidays. I like the Crayola twistables. My favorite product is the Crayola Crayons! We always have to have as many colors as we can for the kids to do their coloring and artwork! The See-Thru Light Designer looks like fun. My daughter loves the twistable crayons. Thank you! love the idea of paintbrush markers! I like the color wonder products. Can’t go wrong with any of their coloring utensils! I love the twistables pencils- so awesome! I like the Wild Notes 1 Subject Notebook pretty cool! I also love the color wonder products for my daughter. She loves coloring with them and I like that I don’t have to worry about it too much if they accidentally get on something! I like the Dual-Sided Dry-Erase Board Set. 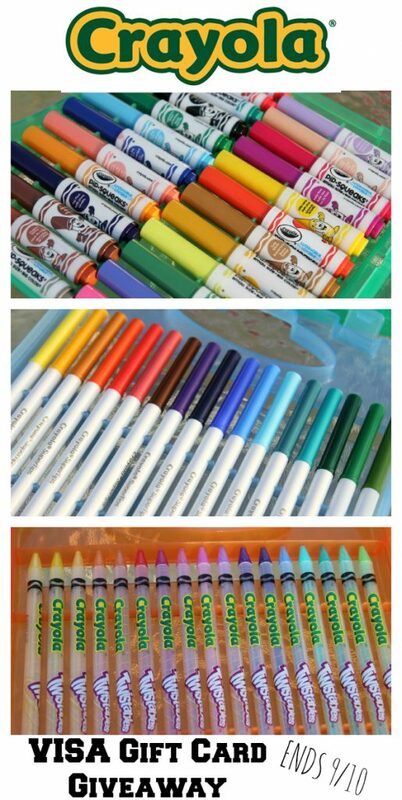 We like their Pipsqueak marker pens and lots of crayons! Id like to try the outside colored bubbles but I love the classics. I like the Twistable Colored Pencils. Oh I love the Dry-Erase Bright Crayons! I like the Melt and Mold Factory. We use the Multicultural markers all the time…the kids love having markers that can be different skin colors. For myself, I love the 120 ct. crayons, but I would love the My First Crayola Washable Bath Crayons and Canvas for my son. My daughter loves the blue crayons. Love the Melt & Mold! Too fun. Thank you for the chance to win. I like the erasable colored pencils. I love getting a brand new pack of 64 count crayons!! The Twisted Crayons are so much fun! Also, as others have mentioned, smelling that fresh box of Crayolas gets me every time! Ahhhh! My favorite is the 96 count box of Crayola Crayons. I like the Washable Dry-Erase Colored Pencils. My favorite is the classic Broad Line Markers, Classic Colors 10 ct.
Crayola Colored Pencils are my favorite. I like the Crayola Ultimate Art Supplies and Easel. Favorite Crayola product is probably their Dry Erase crayons and colored pencils. I love crayola washable markers. I love the Crayola Pipsqueaks. I love the Wild Notes notebooks! I like the Glow Book. I like The Dry Erase Light Up Board! My favorite has always been the big box of 96 crayons. Just have fond memories of it. I love their Dry Erase Marker Sets. We’ve been having fun with the 3-D sidewalk chalk, but there is nothing quite like opening a brand new box of crayons. You cannot go wrong with the classic crayons!!! my favorite is the washable markers! the big box of crayons. I love the twistable crayola colored pencils! My kids would love the Ultimate Art Supplies & Easel. I love the doodle magic! I like the colored pencils. The crayons have always been my favorite. Thanks for the giveaway…our kids love the Colored Pencils, Long 24 ct.
Crayola Crayons 96 ct. has always been my favorite item. My grandson starts prre school this month and his favorite color is azul. My favorite item is Crayola crayons. Hi Whitney, love your crayola crayons. 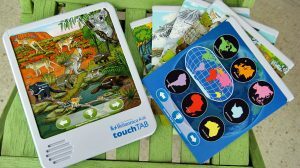 Kids would love this and make sure it would be a perfect gift for your little one. It is one of the creative ways to remove tedium and your kid’s will surely enjoy this wonderful idea. Nice project.